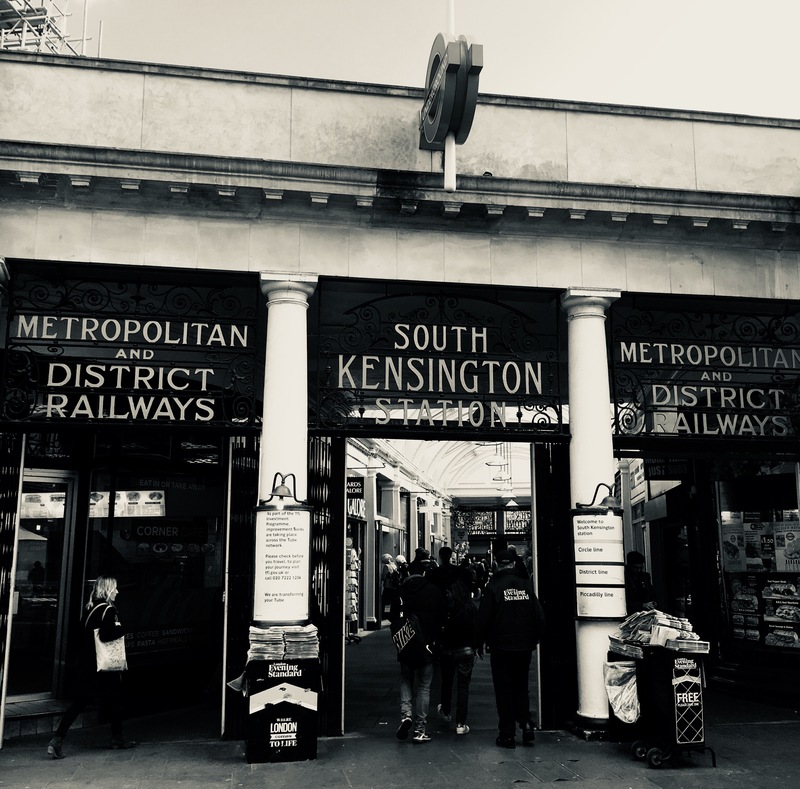 Once upon a time South Kensington was the meeting point of the two giants of early underground rail travel in London, the Metropolitan Railway and the District Railway, as seen in the ornate ironwork above the Thurloe Street shopping parade. These days the, and rather confusingly for tourists, it’s the District and Circle that serve the sub surface route. The importance of the space required to interchange between the two rival companies is still evident down at platform level where two further outer platforms lay abandoned, which, long since the passing of trains, now play host to a handful of pot plants.